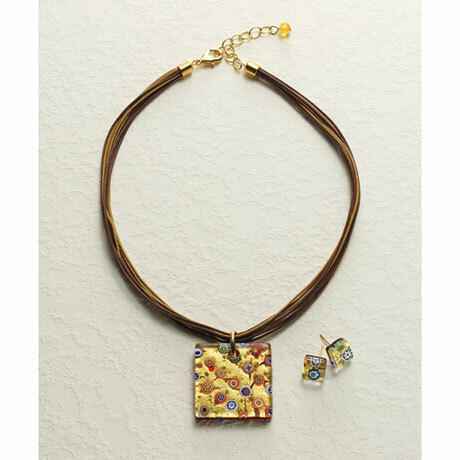 Tiny flowers made of multicolored glass, millefiori rest on shimmering beds of gold foil beneath clear glass. Made on Murano, the glassmakers' island in the Venetian lagoon, using techniques centuries old, each piece is a one-of-a-kind work of art. Earrings are 3/8" square on steel posts.